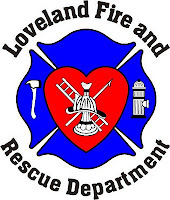 From March 31 - April 1, 2010, Loveland Fire and Rescue will host an Enhanced Threat & Risk Assessment Course (MGT 315) in Loveland, CO. The course will augment the process taught in the current Department of Homealnd Security (DHS) Threat and Risk Assessment course (T&RA). Student from all disciplines are guided throug all phases of the DHS and FEMA risk management process, as applied to specific facilities within the host jurisdiction. Threats and hazards to those sites are prioritized, and vulnerabilities to those sites are prioritized, and vulnerabilities at those locations identified through on-going site inspection by student teams. The consequences of terrorist threats, man-made and natural hazards to the site, are estimated and options for mitigation, that include equipment, training and exercises, are defined. For more info and to register, contact Lt. Pat Mialy mialyp@ci.loveland.co.us or at (970) 962-2534.